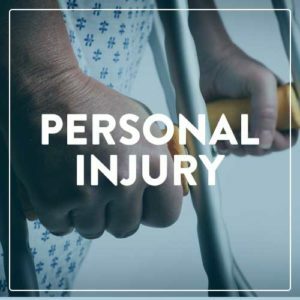 Personal injury lawsuits can range from the simplest slip and fall case to the most complex product liability claim. Defendants can include average, middle-class families to major, multinational corporations. Plaintiffs may have suffered relatively minor harm or had a spouse, child, or parent die. What all these cases have in common is that both sides often have an emotional challenge. Most settlements are negotiated between the attorneys for both parties, but sometimes despite the best efforts of the attorneys and parties settlement just hasn’t been possible. Steve Mehta is an experienced mediator familiar with the many issues that a personal injury case can involve. He’s been able to get parties onto the path to a mutually-acceptable resolution which provides both parties the opportunity to put the issue behind them and move on. There are many reasons mediation is a better option than litigation. Both parties control the outcome. A trial means a judge or jury decides the matter. A plaintiff risks not being seen as sympathetic as he or she might hope or the facts may be interpreted as showing there’s no liability or the damages simply aren’t as great as claimed. A defendant risks being seen as the bad guy, the one responsible for ruining another’s life, and a large judgment could be issued to right a perceived wrong. Litigation can consume substantial amounts of time, energy, and resources from clients. Insurance companies and insureds have businesses and their lives to run. Plaintiffs may be back to work or so disabled that being involved in litigation may not only be difficult but physically and emotionally painful. With a mediated settlement, the parties can avoid the additional costs of the use of expert witnesses, discovery costs and other expenses associated with taking a case to trial. It may take years for a case to finally be resolved. A successful mediation can short-circuit the litigation process. Plaintiffs have the opportunity to tell their stories to the insurance company and make them aware of the impact the insured’s alleged negligence had on their lives. Many plaintiffs seek a forum to tell their stories, and when an insurance adjuster is there, in person, it may make it easier to make progress towards a resolution. Plaintiff was a 3-year old bitten by a dog and suffered extensive facial and dental injuries. Plaintiff was being driven in a golf cart. The golf cart driver began driving the golf cart before the plaintiff was safely seated. This caused the plaintiff to fall out of the golf cart and strike their head on the pavement. Plaintiff suffered a traumatic brain injury. Plaintiff proceeded to the elevator and he noticed an elevator mechanic working on the control box. The plaintiff was told that the elevator was usable by building management. When the plaintiff entered the elevator, the doors slammed shut and injured both of the plaintiff’s shoulders. The plaintiff fell when their foot hit the lifted part of the cracked concrete and sustained broken bones. The plaintiff was present at a nightclub with a friend. Plaintiff tried to help a friend avoid an altercation with another customer. A fight broke out and the plaintiff was hit with multiple beer bottles and sustained severe neck injuries. Plaintiff claimed inadequate security. The plaintiff was driving onto the freeway onramp. The defendant’s vehicle struck the plaintiff’s car and totaled the vehicle. The plaintiffs were members at a gym where they admitted their two children to the day care. One of the plaintiff’s children has special needs and a speech disability. The child uses hand signals when he needs to use the restroom. The plaintiffs allege that the defendants failed to perform duties of due care for health, safety, and welfare of the children to whom they were entrusted and to hire proper staff. The plaintiffs also contend that the defendant’s staff ignored the child’s hand signals causing the child to wet his pants and became locked in a dark bathroom for a long period. Mediation is a confidential, alternate dispute resolution method where a neutral third party guides both sides to an outcome they can both accept. Time, energy and expense can be saved when business cases are resolved fairly with the consent of the parties as opposed to leaving the outcome up to a judge or jury after a full trial. If your client is involved in personal injury litigation and you believe an option worth exploring is a settlement reached with the help of an independent, professional mediator who can get parties past their differences contact our office today.